As many of you know, I view televised dating shows the same way I view the Double Cheese Quesadilla flavor of Hamburger Helper: frightening and completely unnecessary. To prove my point, a story recently emerged concerning a contestant on The Dating Game. For those of you unfamiliar with The Dating Game, it (and various reincarnations) ran on ABC from 1965 to 1980 and served as the precursor to modern day shows such as The Bachelor. The premise was fairly simple; a bachelorette was sequestered behind a wall where she could not see the male contestants and the male contestants could not see her. The bachelorette would then ask the potential dates questions designed to reveal clues about their personality. The idea of hiding the physical characteristics of the daters was designed to prevent superficiality from interfering with true compatibility and create a sense of tension. Once the time limit to ask questions was exhausted, the bachelorette would be forced to choose a date based solely on their answers. 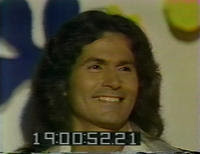 Several celebrities such as Burt Reynolds, Tom Selleck, and Farrah Fawcett appeared on the show during its run, but in 1978 the show was to have its most infamous guest of all. Criminal profiler Pat Brown would later state that this instance of rejection could have been the catalyst for what happened a few months later. In early 1979, just months after his win, Alcala would abduct and murder a 12 year-old girl and begin his career as a serial killer. Over the next decade, four other women would die by his hand and ultimately the crimes would go unpunished until February of this year when he was found guilty of the five homicides in a California court. Obviously Mr. Alcala had pre-existing mental issues, and whether or not his rejection on the show had any impact on his subsequent actions is debatable, but there is a disturbing trend to these shows. Since outrageous personalities generate higher ratings, producers will continue to seek out and cast progressively more unstable individuals. Case in point is Megan Wants a Millionaire contestant (and reported winner) Ryan Jenkins who strangled his ex-wife and stuffed her into a suitcase. If that doesn’t say “He’s a keeper,” what does?